The son of a music critic who exposed his son to a vast soul record collection (again, sound familiar? ), Eli ended up in Clarksdale, MS after high school, eventually ending up under the tutledge of legendary blues drummer, Sam Carr. 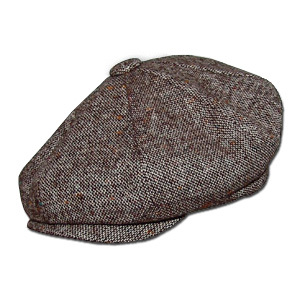 He frequently adorned his grandpa’s chapeau, which garnered the “Paperboy” nickname. 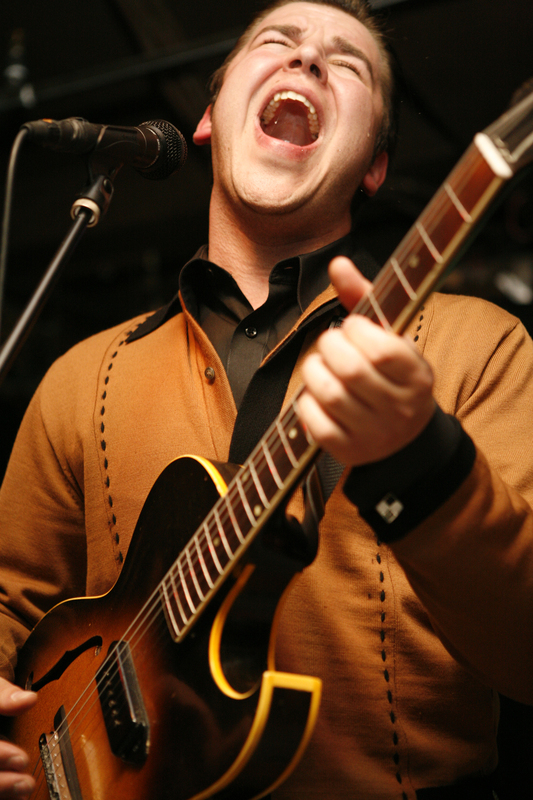 With a cool blues moniker, a degree in Southern blues, and a HUGE passion, Eli was convinced to enroll in the University of Chicago by his concerned parents. While in Chi Town, Eli broadened his soul horizons by reaching out to Mitty Collier, who scored the 1964 hit, I Had a Talk With My Man. Now involved in ministry, Mitty hired Eli Reed as her music minister, where he served for a year before returning to Boston with a different kind of education. There, he put together his band, The True Loves, and recorded and self-released his first collection of originals and covers entitled, Sings “Walkin’ and Talkin’ (For My Baby)” and Other Smash Hits. Eli is currently embarking on a European tour and is recently signed to Virgin Records, after opening for the likes of Dave Matthews recently. Eli’s NPR interview shows his love of music and his enthusiasm to spread it around. At 24, he produces a much older and “experienced” sound. But, then again, Otis, James, Jackie and Wilson were all about his age when they came into their own. He is proficient at old soul, mixed with passion and love of music. His music is infectious and draws you in. Many critics and observers have dubbed him as the next sensation. I am definitely on board. Paperboy, stay true to your school and you shall go far…perhaps an example for many. 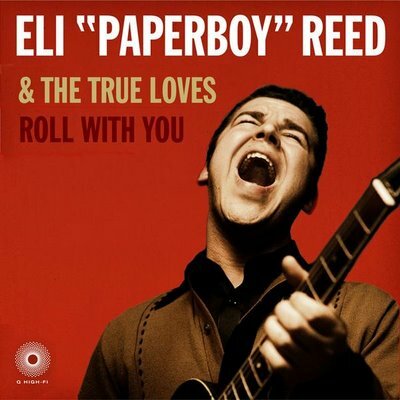 Visit Eli “Paperboy” Reed at http://www.myspace.com/elipaperboyreed and buy some stuff. You will not be disappointed. Since you showed me how to be happy…. Tried to find Otis Redding’s Happy Song, but alas it is not out there on the Interwebs. Certainly a “pick me up” on a rainy Tuesday, though. Stax music legend, Isaac Hayes, has reportedly died from a “simultaneous” stroke and heart attack at his home in Memphis, TN. Known for the watershed album, Hot Buttered Soul, and the mega hit Shaft, Isaac Hayes became the savior of Stax Records when Otis Redding died in a plane crash in 1967. Hayes started at Stax as a session musician for Redding and others, eventually taking the forefront in the early ’70s. He was also a successful songwriter, writing the Sam & Dave hits, Hold on, I’m Comin’ and Soul Man, with writing partner David Porter. He is considered a pioneer in Urban Contemporary and Rap music, adding “raps” or dialogue to many of his songs. Most recently, Isaac Hayes was best known as “Chef” on Southpark and was working on the film Soul Man, with Samuel L. Jackson and Bernie Mac, who also passed away yesterday. Both will be missed. The Stax special on PBS was interesting but, like Huck, I felt they missed a golden opportunity to focus on the artists and music, rather than focus so much on the Civil Rights Movement. Not that it’s not important, it’s just that there is significant information and other documentaries that have covered these issues, in depth. This particular documentary had the opportunity to really educate people on the music of the day and it’s profound affect on the music of the next 40 years. It did spark my curiosity about a few thoughts from the program and got my research fingers to working. 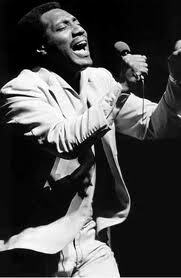 Of course, the special prominently featured Otis Redding as he was the center of the Stax world in the late ’60s. The session was not going well, so Jim Stewart, Stax co-owner, allowed Otis to cut a couple of songs with the studio time that had been booked. The result was “These Arms of Mine”, released in 1962. This was the first of many hit singles (including classics “I’ve Been Loving You Too Long”, “Respect”, and “Try A Little Tenderness”) that Redding enjoyed during his tragically short lifetime. While the Bar-Kays were Otis’ back-up band on many songs and performances, Booker T. and the MGs — the stellar Stax session band comprising of Booker T. Jones (organ), Donald “Duck” Dunn (bass), Steve Cropper (guitar) and Al Jackson (drummer) — the only notable, integrated band of that day, provided back-up on Otis’ last and most recognizable song, Sittin’ on the Dock of the Bay. 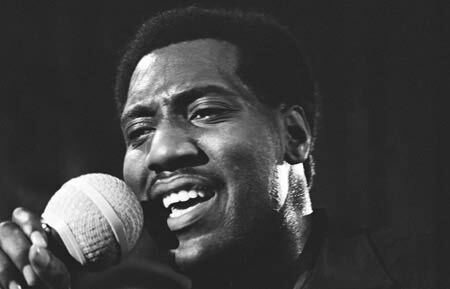 The song was written by Otis and guitarist Steve Cropper and recorded a mere three days before Redding’s tragic death. 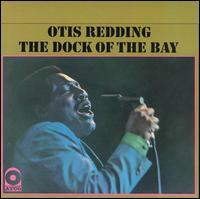 Redding was inspired when actually staying on San Fransisco Bay (Sausilito) when he played The Fillmore in the Summer of 1967, resulting in the wonderfully soulful Dock of the Bay. When he crashed his new plane into that Wisconsin lake in December of 1967 (along with 4 members of the Bar-Kays), Otis Redding left a wife of 5 years and four young children. He was 26. He also left a bereft and forever changed Stax organization. Sittin’ on the Dock of the Bay was released posthumously, and the song was #1 for 4 weeks in 1968. Interestingly, the last part of the song of Otis whistling was just a filler in the initial recording that was going to be replaced in final mixing by additional lyrics. 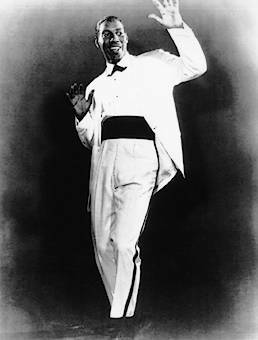 Of course, Otis never made the final mixing, but little did he know that this whimsical whistling would provide such a wonderful and unique touch to a song that emblazon his memory on generations….and that it would be his swan song. Here is Steve Cropper’s Tribute to Otis in Rolling Stone. Hard to believe it’s been 40 years….